Earth's magnetic field, otherwise known as the geomagnetic field, is the magnetic field that extends from the Earth's inner core out into space, where it deflects harmful radiation from the Sun. But now something bizarre is taking place. Earth’s north magnetic pole has been rapidly shifting away from Canada and towards the Siberian Federal District, driven mostly by liquid iron churning deep within the planet’s core. 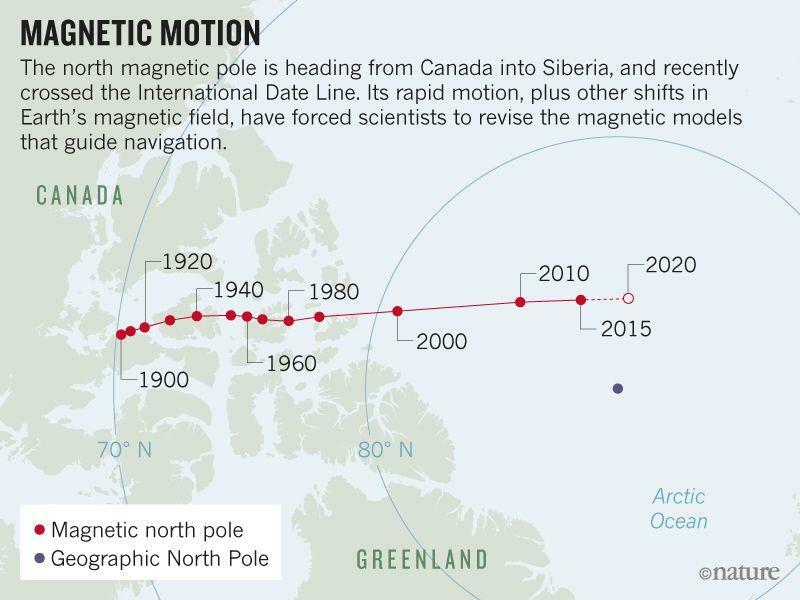 "The magnetic pole is moving so quickly that it has forced the world's geomagnetism experts into a rare move," Nature reported. 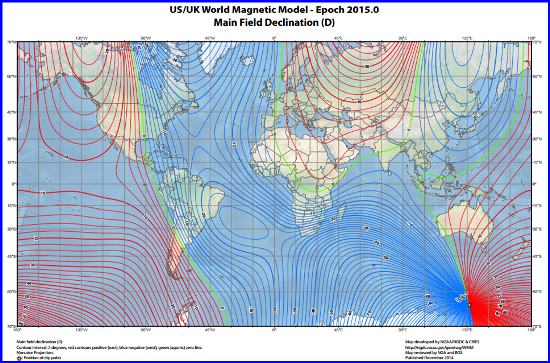 On January 30 (delayed due to the US Government shutdown), the World Magnetic Model (WMM), a large spatial-scale representation of the Earth's magnetic field, will be updated. WMM is the standard geomagnetic model of the US Department of Defense (DoD), the Ministry of Defence (United Kingdom), the North Atlantic Treaty Organization (NATO), and the World Hydrographic Office (WHO) navigation and attitude/heading reference. The current model was expected to be valid until 2020, but extraordinarily large and erratic movements of the north magnetic pole have been realized and had to be fixed immediately. "They realized that it was so inaccurate that it was about to exceed the acceptable (safe) limit for navigational errors," Nature said. Geophysicists from the US National Oceanic and Atmospheric Administration (NOAA) and the British Geological Survey regularly monitor the current state of Earth's magnetic field. Nature said consistent monitoring is necessary because liquid iron churning in the Earth's core does not move in a uniform manner. The movement of the north magnetic pole has been studied since 1831. Initially, it was tracked moving into the Arctic Ocean at a rate of about 9.3 miles each year. But, since the mid-1990s, it has accelerated. It is now moving at a rate of about 34.17 miles per year. However, geophysicists are not exactly sure why the magnetic field is shifting so quickly. "Geomagnetic pulses, like the one that happened in 2016, might be traced back to 'hydromagnetic' waves arising from deep in the core," Nature reported. "And the fast motion of the north magnetic pole could be linked to a high-speed jet of liquid iron beneath Canada." "The location of the north magnetic pole appears to be governed by two large-scale patches of magnetic field, one beneath Canada and one beneath Siberia," Phil Livermore of the University of Leeds told an American Geophysical Union meeting. "The Siberian patch is winning the competition." 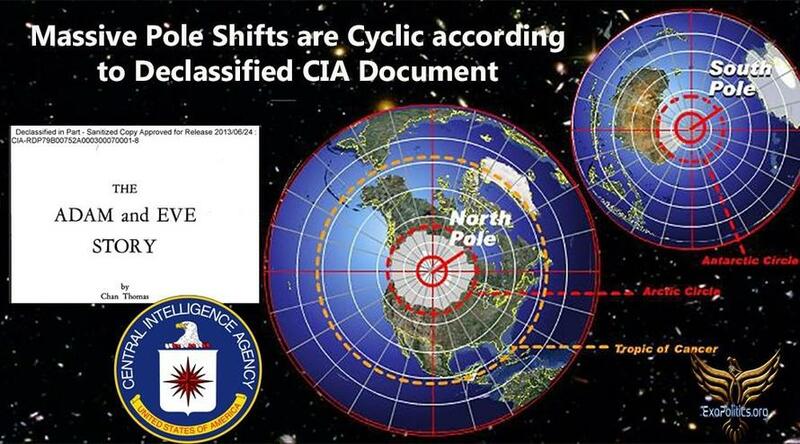 In the meantime, geophysicists are trying to figure out why the magnetic field is shifting. Most obviously, there is a significant gap in the WMM model that is not being released for another two weeks because of the US Government shutdown. With a potential breach in the acceptable limit for navigational errors, navigation systems that are heavily reliant on the Earth's geomagnetic field could experience disruption. Geophysicists do note that Earth can undergo a “geomagnetic reversal," where these magnetic poles switch sides. The last time this happened was 781,000 years ago, but it is believed to have occurred every 20,000 to 30,000 years over the last 20 million years. Could the erratic motion of the north magnetic pole be a hint that a “geomagnetic reversal" is already underway? If so, what are the consequences for planet Earth?